#c22 How to find your photos? 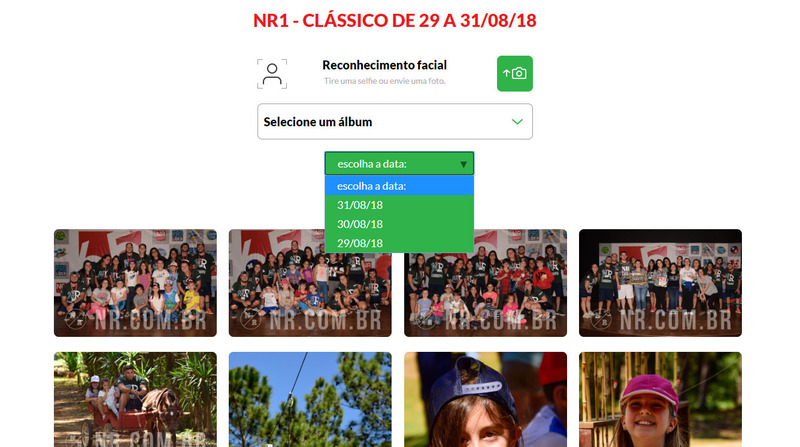 Nenhum site, todos os eventos fotografados estão em casa. Procure o evento em que você participou e clique na página do evento. A busca das fotos nos eventos pode ser feito de três maneiras: nome ou número Peito Basta digitar o número do seu público-alvo em uma prova de sua página como um todo e, em seguida, a página irá aparecer como suas fotos. Facial recognition technology is one of the innovations in terms of search of photos, where you just send a Selfie and with that all your photos will be located. Some events may be separated into categories, find the one you've participated in, and all the photos in that category will appear. The search for the date of the event is also possible in some events with more days of duration. If, after searching the displayed fields, you can not find any of your photos, we recommend that you search the database of unidentified photos, because when we can not identify them by name, number, categories or by facial recognition, the images become available in this place.